Home > News / Press Release > ZOA NY Metro Team’s October Event A Huge Success! 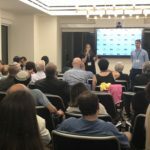 ZOA NY Metro hosted its second successful program, Eastern, Central and Western Europe, 2018: 70+ Years Post-Holocaust – is it safer to be a Jew and/or Zionist in Warsaw or in Paris? 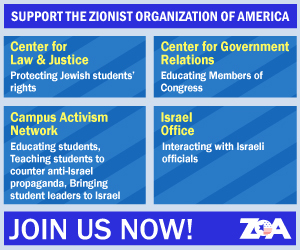 on October 9th at ZOA headquarters in NYC. 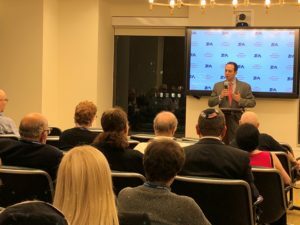 Matthew Tyrmand, author, journalist and advisor to the Polish government spoke to the quality of life for Jews across Eastern, Central and Western Europe and government positions in these regions toward the State of Israel. Mr. Tyrmand took the audience on a virtual tour of all of Europe as seen through the lens of a Jew and a Zionist. Tyrmand pointed out that for hundreds of years preceding WWII, Jews lived comfortably in Poland and that the same is true today. Tyrmand accused the “Global Left” of fueling much of the current anti-Semitism and anti-Israelism in countries like France, Germany and Great Britain. It is in these and other European Union countries that we find that open borders and the elimination of ethnic divides promote environments far more hostile to Jews and Israel advocates. Mr. Tyrmand also mentioned that several Central European nations — some in the EU — are looking at moving their embassies to Jerusalem. The next ZOA NY Metro event, for Menachem Begin, Brandeis, Jabotinsky and National Leadership Societies, will take place on Saturday night, November 3rd @ 8:30PM at the Marriott Marquis and will feature Benjamin Krasna, Deputy Head of Mission/The Embassy of Israel to the United States of America. 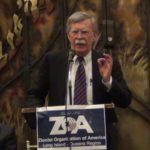 ZOA National President Morton A. Klein greeted the assembled society members, reminding them that unlike any other organization, the only criteria important to ZOA when evaluating issues is “What is best for Israel”. Before introducing the program, longtime ZOA national board member, Jay A. Knopf, made sure everyone in attendance understood the significance of the recent monumental development that the U.S. Department, Office for Civil Rights reopened the case brought by the ZOA in 2011 alleging that Jewish Rutgers University students were harassed and discriminated against for being pro-Israel. The next ZOA NY Metro event, for Menachem Begin, Brandeis, Jabotinsky and National Leadership Societies, will take place on Saturday night, November 3rd @ 8:30PM at the Marriott Marquis and will feature Benjamin Krasna, Deputy Head of Mission/The Embassy of Israel to the United States of America. This event is open to ZOA Society members who are contributing a minimum of $2,500 in 2018. ZOA NY Metro Team Fall Kickoff Event An Overwhelming Success!